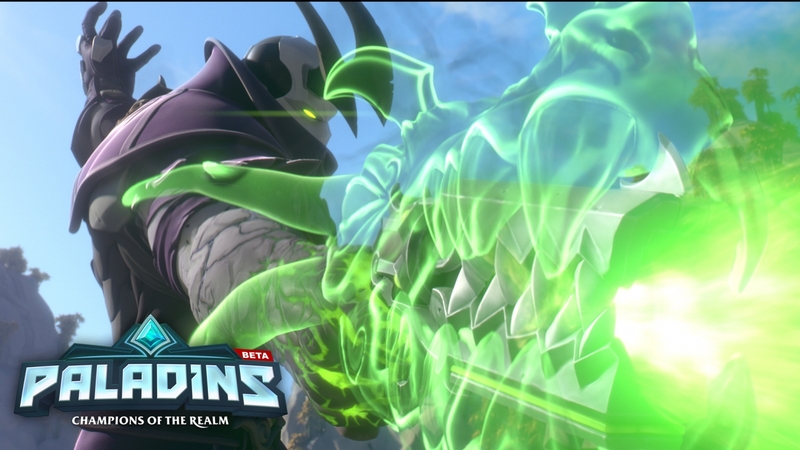 Paladins is a free-to-play shooter with different heroes that has been compared to Overwatch. They’re just announced that they will be launching a new game mode called, “Battlegrounds.” It’s a very original name for the most original game mode. If you haven’t been living under a rock, you know about Player Unknown’s Battlegrounds. Since its immense success and popularity, other games have added similar game modes to their 100 player death match. Now the hero based game is adding one. 100 players will jump into a map 300 times the normal size of a Paladin map, but unlike PUBG, they’ll be put into squads and have to work together to be the last team standing instead of the last person. Which makes sense when you have support characters in the game. On their YouTube video for the new mode, they call this “the first-ever hero-shooter battle royale.” They skirt around how popular battle royale modes are at the moment and instead mention how they’re doing it with a game that uses heroes that have different abilities instead of everyone starting out essentially the same and then scavenging different equipment. This mode was announced at Hi-Rez Expo 2018, and players will still have to scavenge weapons and gear. However, Paladins champions will still have their class abilities. They haven’t announced an exact date when it will be coming out, but it will be sometime in 2018. What do you think? Will it be too hard to balance with the addition of character abilities and teams in the battle royale? Let our team help you produce more revenue from your games, get in touch today.